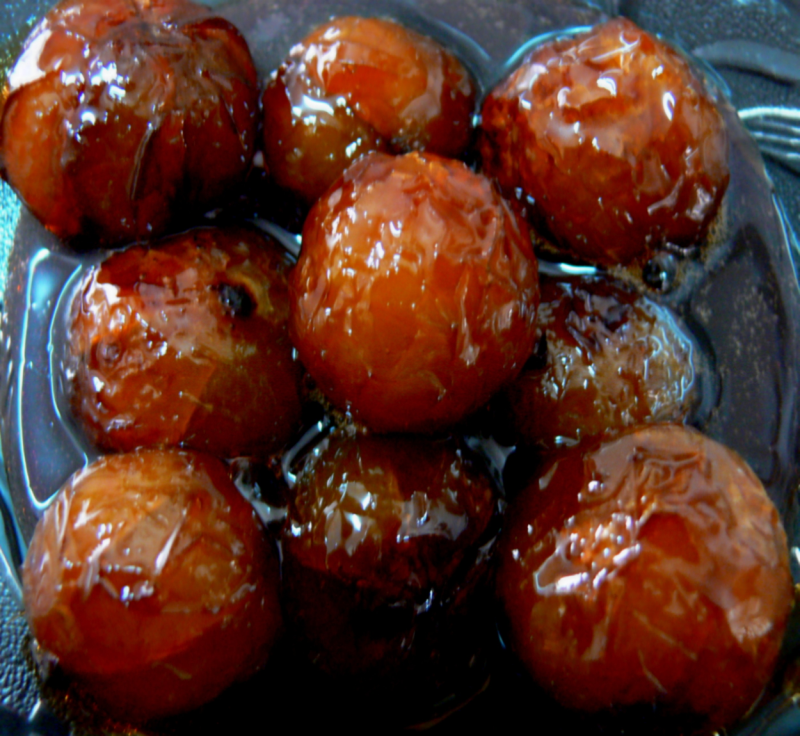 These Caramelized Gooseberries are being served as a traditional sweet in TamilNadu.Try at home and enjoy. Take a microwave bowl,heat water on microwave(high) for 4 mins (till water boils). Take that bowl out, add sugar to it and mix well till sugar gets dissolved completely. Put the gooseberries in that bowl and microwave(high) for 20 to 25 mins. Now, add the flavouring agent and mix well. Microwave this high for 5 more mins. Take the bowl out after 5 mins(the Gooseberries should be very tender and well-cooked in sugar syrup) and let it cool for an hour. Serve the Caramelized Gooseberries with or without sugar syrup in a bowl. Thank U ...At last found d recipe i've been hunting for so long .